Altcoins (alternative coins) are variants of bitcoin, with different specifications and applications. Examples of Altcoins : Ripple, Ethereum, Litecoin, etc. Where do i keep my cryptocurrencies ? Similar to “phisical” currency, cryptocurrencies can be storred in wallets (software or hardware based), or on your crypto-exchange account (online). What exactly happened in 2016 ? 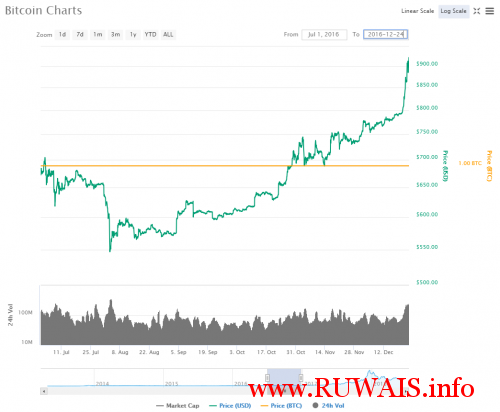 6 months after July 2016 … Bitcoin started to increase it’s value by 100% until December 24. 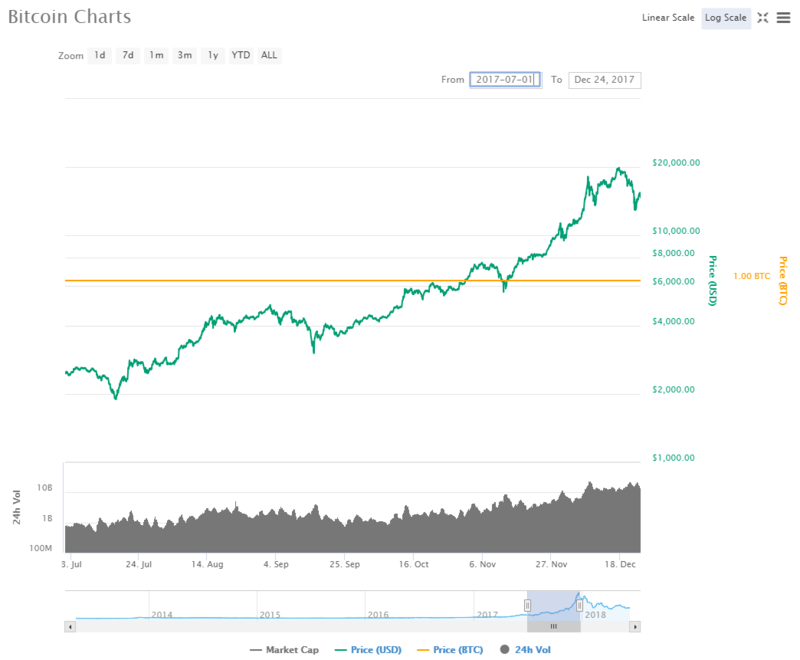 For the whole year, the total value jump was actually more closer to 200%, but we will just focus on the second part of the year since that is when the bull runs happen more often. What followed in 2017 ? 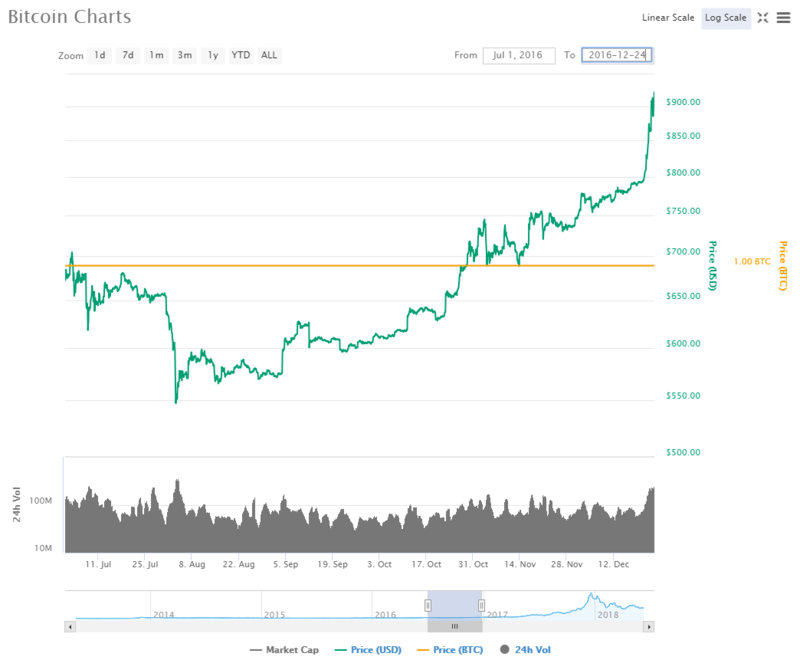 6 months after 1st of July 2017… Bitcoin increased it’s value by 900% until December 24. It was an incredible year, and that’s has only made Bitcoin even more popular. What happens in the first 6 months of each year ? That is usually a time of price correction and asset accumulation. You can see for yourselves on cryptowat.ch or on coinmarketcap.com how 2018 is looking so far, and compare it with 2016 and 2017 january to july. If you can spot the pattern of the previous years, then you should be able to appreciate the price rebound. 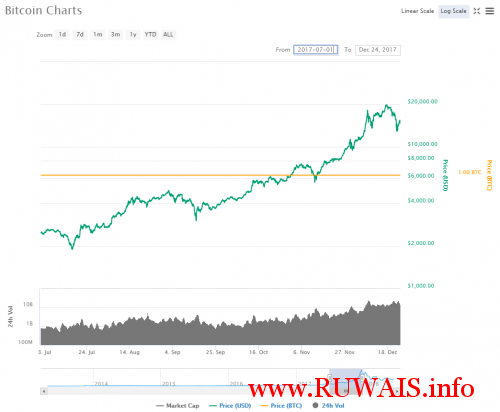 How can you invest in Bitcoin ? If you have read so far, you have already invested some of your time in learning about Bitcoin. If you want to invest some of you money too, i recommend using BitOasis to buy/sell/send cryptocurrency. In my opinion they have the most user-friendly webpage and trading platform. You can deposit money or even previously owned crypto. Then buy crypto at limit or market price. Send it to any compatible wallet address. Or you can just hold it and sell it when you’ve reached your target profit. But more importantly, unlike forex, there are no fees for keeping money or cryptocurrency on their platform.